Kathy Hardy's Handmade Life: Thanksgiving, Black Friday & Cyber Monday!! Thanksgiving, Black Friday & Cyber Monday!! oops...looks like I dropped the ball on the last give away, so I just went down and got Ozzy to pick a winner and the winner is [insert drum roll here] #3, which is Perry!!! Yay Perry!! You won those gorgeous earrings from my last post!! Congratulations!! I hope you enjoy them. Sorry about that. I've been so distracted...I finally had to get a new computer and it has taken up ALL of my time for the last week. Getting programs installed, moving files, rearranging my studio, etc. I think I'm finally making some headway, so *Yay* for that! Whew, what a lot of monotonous, exhausting and not very much fun work! I need to get back to my beads, they are collecting dust over on my desk. I did get in some awesome new charms today, so I'll get busy making something with those. hee hee...so this was cracking me up today! Are you ready for the holidays!! I mean, Thanksgiving is this Thursday already!!! I usually have my Christmas cards ready to address by now and I haven't even made them yet! Thank goodness we are going to some friends for Thanksgiving and I only have to bring a green bean casserole and some awesome Brussels Sprouts [made from this recipe] ~ and they are so good!!! If you, or someone you know, is not a big fan of Brussels, they will be after eating some of these. So what's your favorite thanksgiving dish [besides the turkey]. I would love to know!! 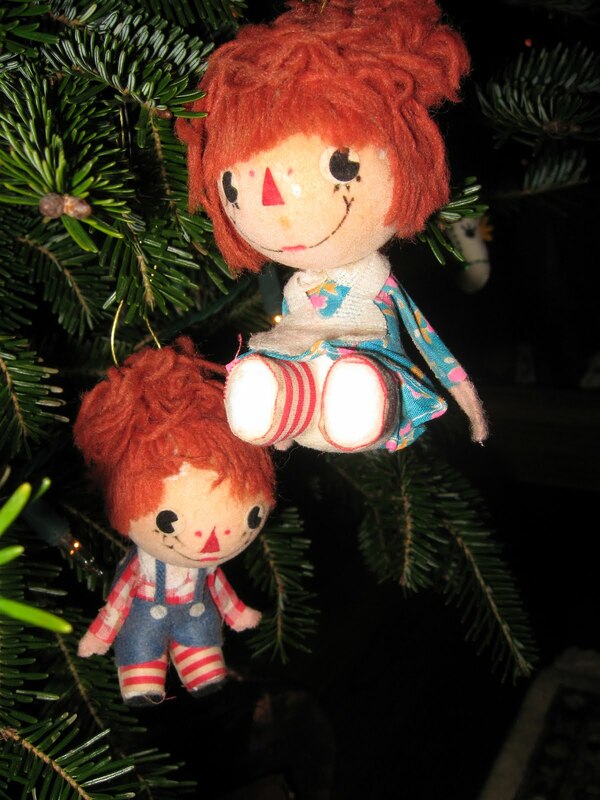 And I'm so looking forward to decorating the tree and seeing these little ones again...my favorite ornaments from when I was a little girl...so cute!! As you all know, Friday is "Black Friday" and Monday is "Cyber Monday" ~ the two busiest shopping days of the year! So, starting at Midnight Thursday [November 25th] and going until midnight Monday [November 29th], EVERYTHING in both my Etsy Shop and my ArtFire Shop will be 25% off, PLUS "Free Shipping" and "Free Giftwrapping" all weekend long! So start looking around now and get ready for the sale!! Happy Shopping!! Etsy has a new "coupon code" feature, so I'm going to try and figure that out...I'll post the coupon codes for both shops Thursday...stay tuned. 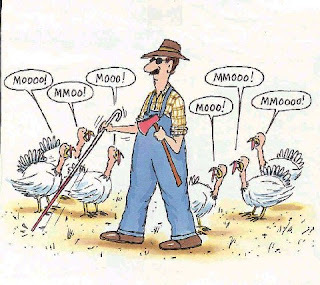 In the meantime, have a great Thanksgiving! P.S. I just want to thank everybody that commented on my last post ~ I am so very thankful for each and every one of you...especially you, my sweet little sister, Karen!! I love ya'll!! 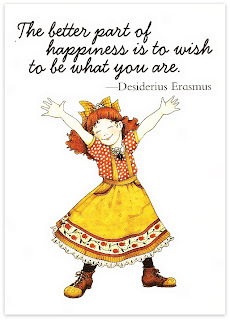 Reminiscing, Holiday Cards & A Winner! Happy Thanksgiving & a 25% Off Coupon! !